Driving on the highway can be nerve-wracking for not only new drivers but also experienced drivers. Highways often require you to drive at faster speeds than you are accustomed to, around many vehicles, and for several hours at a time. High-speed car crashes can cause serious permanent injuries and death. Before merging onto the highway, you should always make sure that you and your loved ones are buckled in and that you know what to expect. 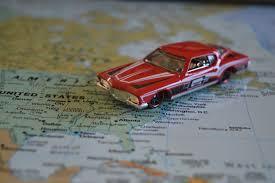 Instead of airline flying, many people now opt to drive when they go on vacation. Plane tickets can be expensive and checking yourself through TSA can be a hassle. A drive across state lines will normally take longer, but many people prefer taking that extra time to avoid using commercial airlines. You should always remember that different states may have different road laws when you are traveling across state lines. Additionally, some states are notoriously much stricter about certain violations. When you know that you’re going to be driving throughout different states, you should take some time to see whether different rules apply. 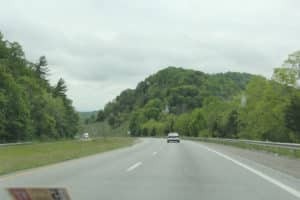 Highways are also filled with families and other road tripping drivers driving throughout the state or from state to state for fun activities. It is common to see recreational vehicles, boats, and off-road vehicles being towed on the highway from a regular vehicle. While one of the last things anyone going on vacation wants to deal with is an accident on the highway, it can still happen to anyone while hitching something. Using trailers or driving large vehicles is more difficult because people will have far more blind spots in addition to a harder time driving. On the highway, always watch out for people with larger hauls or baggage in the trunk blocking their windows and creating additional blind spots. People on vacation will also be more likely to feel relaxed and less attentive, so be aware that you may have to be extra cautious to make up for any lack of skill, experience, or awareness. Many people take a highway even when their destinations are within the same city. Cities oftentimes have several exits so that people can get from Point A to Point B directly without stopping at red lights or other delays that driving through town can bring about. Additionally, highways always have semi trucks driving throughout the states with truck drivers driving for much longer than most people would. 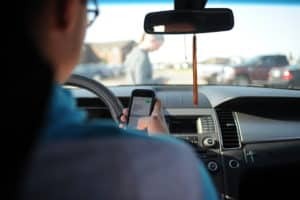 These working drivers are typically accustomed to the highway, but this can actually be negative as this can lead to speeding and feeling overly confident. Whenever entering the highway, everyone should be cautious. Watch out for reckless or negligent drivers and try to stay away from them when you notice an unsafe driver. When you’re involved in a car accident on the highway, you deserve to have a highly skilled attorney fighting on your side for compensation. The O’Brien Law Firm has the experience and qualifications necessary to help you receive the compensation you need for your injuries. Call us today at (716) 907-7777. Not everyone is lucky enough to live in a sunny state where it does not snow. In fact, most states have annual snow fall each winter with some states experiencing more than others. Whenever you drive in the snow, you need to be even more cautious while driving. When it’s snowing, road conditions are more dangerous and can cause serious accidents when you’re not prudent. Whenever you turn on the news during a snowstorm, you’re bound to find news regarding a pile up on the highway. With the slipping and sliding caused by frost and snow, it’s easy to lose control of a car. Furthermore, it is difficult to stop in time when you’re driving at high speeds on the highway. 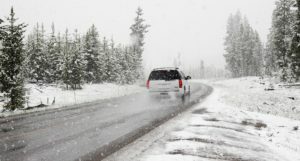 Your visibility and traction are worsened, and it is always best to avoid driving in the midst of a snowfall. Accidents have happened due to sliding, running red lights because a driver can’t stop in time, and even not seeing a car in front. Whenever you find yourself in an unfortunate vehicle crash situation, the first thing to remember is to remain calm and stay in your vehicle. Contact the local authorities and wait for them to arrive. You never know if there will be another car driving that won’t see you and it’s best to use your car as a “temporary shelter” that will keep you safe while waiting. After the authorities are called, the first thing you need to do is contact an attorney. If you were not at fault, an insurance company will likely try to settle a case with you for less than you deserve. This is when you need an attorney in your corner to review all the details of your case and help you receive adequate compensation. A car accident is a stressful time in anyone’s life, but personal injury attorneys will make sure that you are not taken advantage of. The holidays have begun, and snow has started falling. Many sources have named New York as one of the harshest states to live and drive in during the cold, snowy winter. 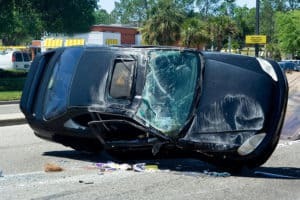 If you or a family member is ever injured in a car accident, you should contact our experienced attorneys at the O’Brien law firm, so we can help you. We offer everyone free initial consultations with no obligations or charges until you win your case. Contact us today at (716) 907-7777. Following a car accident, police may determine that you need to have your car towed. For example, if the car will not start because of its damages or you need medical attention, police will use their neutral towing rotation for a company to use. Before relying on their rotation, police will ask you if you have a special preference for a towing company. If you know someone with a towing company, it can be more beneficial for you to ask for the police to contact that person and/or company so that you can possibly avoid additional charges. Following a tow, your car will be parked and locked up at the tow company’s location. Each day, you will be charged a fee for having your car there. Typically, the daily fee will be around $40-$80, depending on the company. This does not include the initial towing fee that will be even more expensive. 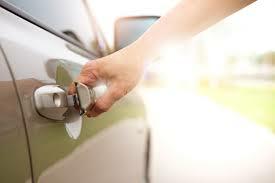 Once you are ready to reclaim your car, you will need your identification and proof that you own the car. Additionally, you will need to pay the towing fee in addition to any daily charges for storing your vehicle. If you cannot afford it, you will not be able to retrieve your car, but you should be able to retrieve any personal items within the vehicle, typically without charge, unless police have given other instructions. 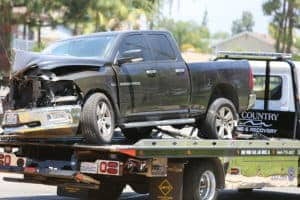 When you go to a tow company to pick your car or personal property up, keep in mind that the owners and employees are simply doing their job. While it may be an inconvenience for you, in the long run, it’s safer to have your vehicle towed in a locked and camera surveillance protected area rather than out by the side of the road. Usually, if you are kind and respectful to the person working at the tow company, he or she will likewise treat you with the same friendliness. In the event that the tow company does not allow you to remove your personal property in your vehicle or acts unreasonably for you to get your car back, you can then contact the non-emergency police hotline to have things settled out. When you go to retrieve your personal property or car and see that something was stolen, or your car was damaged, you will possibly be able to be compensated. If you can, try to take photos of the inside and outside of your vehicle right before it is towed so that you have photo evidenced proof of the outside and interior of your car. Time stamp the photo and show that this is when it was being towed to help assert your claim that the towing company did not keep your car or property safe. If you cannot take your personal property with you or if you were unable to take photos, make sure to write a list of what should be in your car and make sure that it is accounted for once you go to retrieve your cars and property. If you are involved in a car accident, you should contact The O’Brien Law Firm. We can inform you on what you should expect within the following period of time and we can help you with anything else related to your accident. Call us today at (716) 907-7777. Whether you are living in a big city or a small town, if you drive a car, there is a chance that you might be involved in a car accident. While car accidents are certain to occur every day, there are preventative measures to lower the chances of one happening to you. Here are some tips that you should try to implement in your everyday life. Today, vehicle technology has greatly advanced. Several cars have blind spot monitors that will alert you when another car is in your blind spot. Furthermore, newer cars can also alert you when you start driving over the road line. Lastly, most cars now have back-up mirrors that project exactly what is behind you as you are reversing. If you decide to purchase a new car, you should certainly do your homework about what the safest cars are out there and ensure that the airbags, safety belts, and quality of the car are up to par. A common way for a car accident to happen is road rage. Whether you are cut off on the road or run into someone having a bad day, you should always take a deep breath and not react. 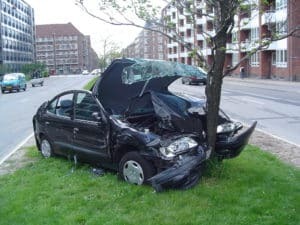 At the end of the day, retaliation will not be worth the injuries, stress, and time required following a car accident. Maintain your anger and keep in mind that some people will not be able to maintain theirs’. Sometimes, it may seem as though someone has completely forgotten how to drive, but you must remember that you should be the bigger person and remain calm. While you should do your best to drive safely, you have to always keep in mind that some people won’t do the same. People speed, have blind spots, and some are simply careless and even reckless. You can only do so much when you are near these kinds of people, but if you consistently check your mirrors and are aware that those people are on the road, you can greatly reduce your chances of becoming involved in an accident. Even if you take all the safety precautions possible for you to avoid a car accident, it can still happen any time you enter a vehicle. If an accident happens to you, the first thing you should do is contact an attorney. Sometimes, it takes time for injuries to develop and you may not be able to foresee the extent of your injuries at first. An attorney will be able to guide you and see how you can receive compensation. 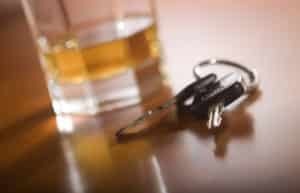 Call our helpful attorneys at The O’Brien Law Firm if you are involved in a car accident so we can begin the initial process for your compensation at (716) 907-7777.